Sometimes our projects and brainstorms take up more space than the default canvas thought. 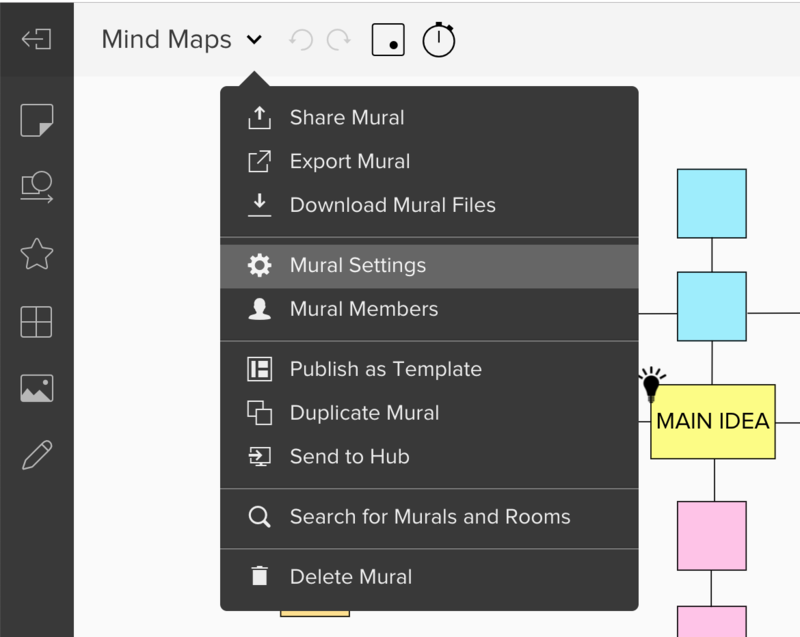 To keep you from running off the page, we've enabled custom sized murals that you can easily access (without leaving the canvas). **Note: Increasing the size of the mural may slow down the performance of the mural, because you'll be able to add more elements to a bigger canvas. We recommend not exceeding 1,000 elements on a mural. Now you can keep your train of thought going without worrying about running out of canvas space. Happy creating!